developed by product design student raz omer, this project deals with the topic of globalization and the rapid lifestyle changes that come with it. these include frequent change of apartments, struggles and expenses of moving, as well as choosing which belongings to take along. what stood out from the research about problems the generation Y has to deal with was that furniture was left behind in 100% of the cases. the most significant finding was that, 80% of the time, the sofa was left behind. this is mostly due to its weight, size, and costs of moving it around. 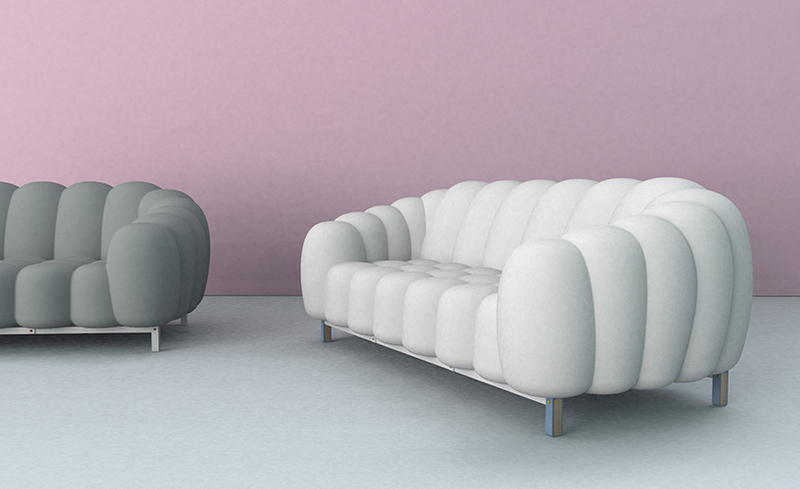 to avoid costs and inconveniences for the people moving, and to reduce the use of resources, raz omer has created the concept for the modular inflatable naja sofa, assembled in only six easy steps within 3 minutes. the lightweight structure and inflatable seat come in a durable bag that now makes it easy and handy to move a comfortable two-meters sofa. the assembly of the structure is completed in five steps and works without screws or work tools. with an easy mechanism, it is assembled within seconds after which an automated or manual inflation – through a built-in pump – turns it into the centerpiece of an apartment. 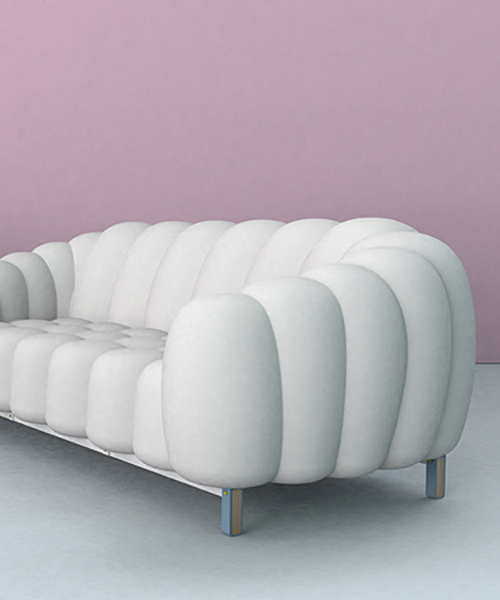 the sofa consists of four lightweight aluminum elements and an inflatable seating part. 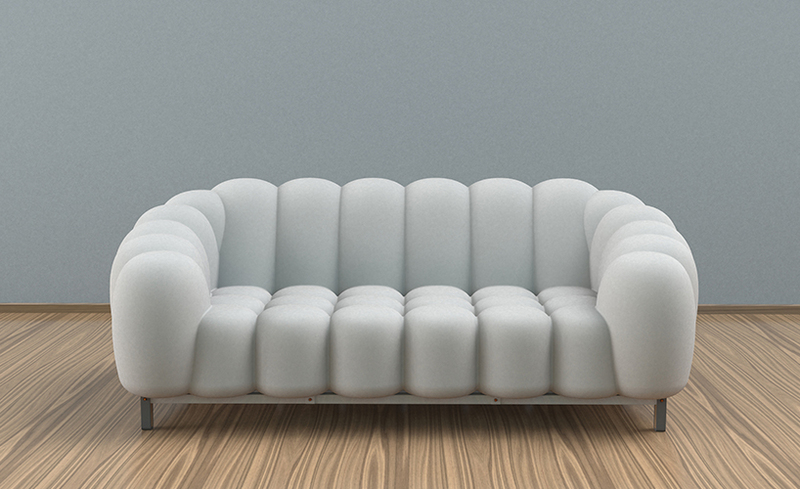 the seat is made from soldered PVC, covered by neoprene fabric – giving the sofa a comfortable surface that is waterproof and secures the PVC from damages. due to its modularity, it comes in different sizes according to the needs or size of the apartment. 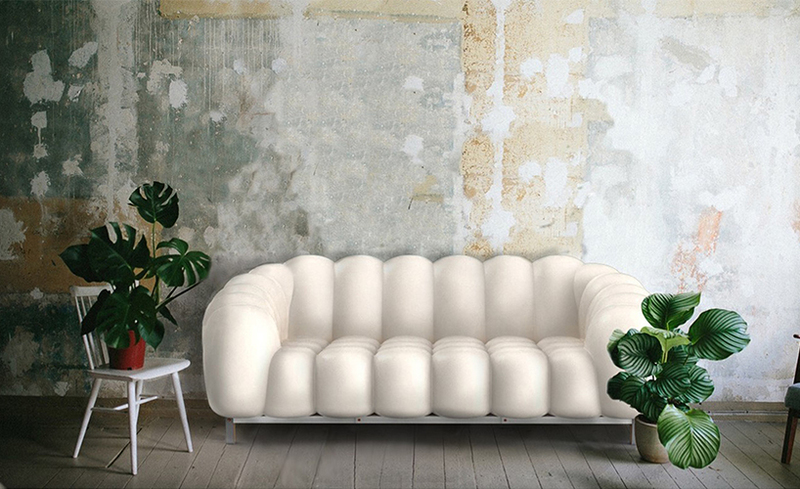 to serve more than the practical needs of the generation Y, the naja sofa comes in six different colors of fabric to chose from. additionally, the structure holds wooden inserts in the legs that can be customized along with the color of the structure. Absolutely excellent. You’d sell a million units to people with motor homes/campers. Have you seen the terrible seating these people have to put up with?! …besides they have 10X more gelt than Gen Y. Good one! Where can I order? Where can one buy one please?